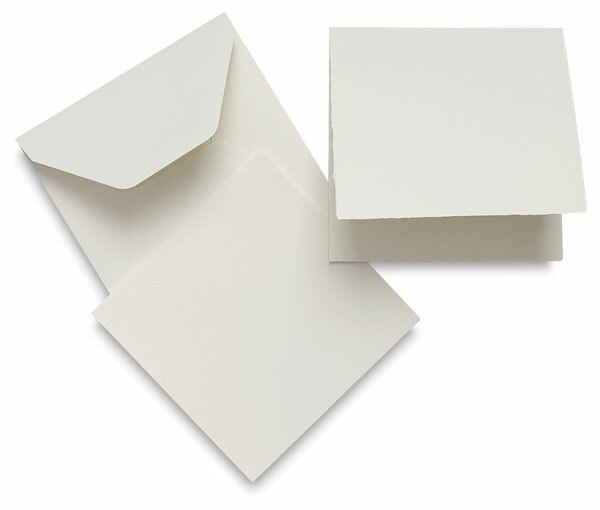 Crafted in Italy by the Fabriano mill, this soft white deckle-edged stationery adds a distinctive flair to letters, invitations, and announcements. Now Medioevalis Stationery is available in a square format. Cards are 260 gsm and envelopes are 120 gsm. Note: Envelopes are AP Non-Toxic.